Somehow at work we have an unofficial, but slightly official book club going on. It started off with two of reading House of Leaves by Mark Z. Danielewski and ballooned into 6 of us. Now we’re just about ready to discuss our 2nd book, The Third Policeman by Flann O’Brien. 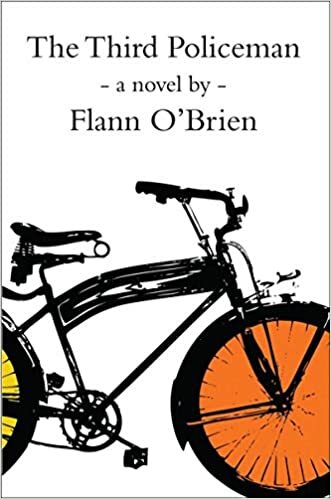 This is my first foray into Flann O’Brien and I’m really enjoying him; which means I just might have to buy his works. I checked out the Everyman’s Library edition that has his complete novels. Turning into Pinocchio? Sure what it sounds like…. I’m pulled right in! Happy weekend! I hope you’re enjoying it! Happy Friday!